Your garage door takes up a large portion of your home’s facade and is a feature you will use every day. For these reasons, it’s important to consider all the options available before choosing a door for your new home or to replace an existing one. Here are the main options you’ll find on the market. Your garage door is a bulky item that has to go somewhere when you open it. One option is to have two solid panels that swing out when you open them. This option allows for a full range of aesthetic choices, but a light material like aluminum is probably the easiest option. You also need lots of clear space in front of your garage. 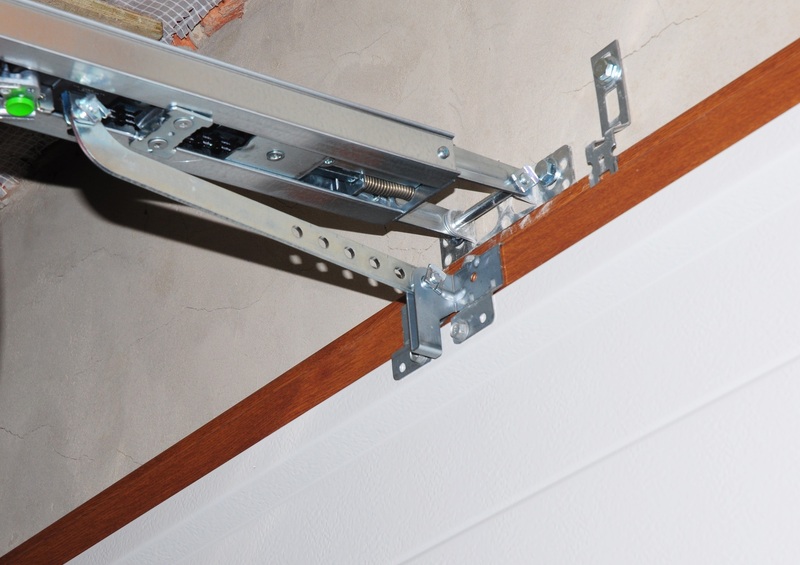 This style of door is similar to a swing-out door, but instead of the entire door moving out from the opening, it moves upward and inward at the same time to end up along the roof of your garage. If you want to use your garage ceiling for storage, this style is not ideal, but it does save driveway space compared to swing-out doors. This is a style of garage door with multiple horizontal panels. As it opens, these panels roll along a track to the garage ceiling. This style of door needs even less space to open than a swing-up door, but is limited to decorative designs that can be divided horizontally. Sliding garage doors open to one or both sides of the garage along the front of the building. They are only practical if you have a wide building facade with space to accommodate them. However, they preserve both your driveway and ceiling storage space, and can come in any material or appearance. Similar to roll-up doors, which are segmented horizontally, folding doors are divided vertically so they can be folded to one side. They take up less space than sliding doors and have many of the same space-saving benefits, but they may still partially cover the garage door opening. For installation of a full selection of garage door styles, choose Browning Garage Doors in Carlsbad, NM. They offer skilled installation and repairs for both residential and commercial clients, providing top-quality craftsmanship and fast, efficient service. To schedule a visit, call (575) 887-7975 or reach out online.